The Cream that Conceals Your Age. Reverse the signs of aging by 6 years. 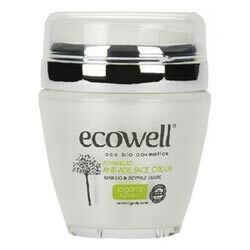 Ecowell Advanced Anti Age Face Cream rapidly diminishes the signs of aging; efficiently ridding skin of wrinkles and making skin smooth, fresh and naturally luminous. After application, skin becomes firmer, suppler and brighter. 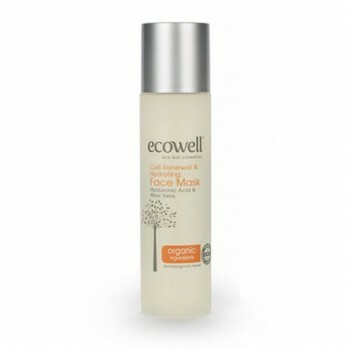 Contains Ginkgo Biloba extract which prevents the visible signs of ageing like wrinkles, fine lines and dryness. Ginkgo Biloba is also a natural sunscreen and contains anti-inflammatory properties. As it is extremely rich in Vitamin E, it prevents scaring, stretch marks, acne, patchiness and pimples. It firms, replenishes and maintains skin’s elasticity keeping skin healthy and fresh-looking. Vitamin E is one of the 5 most potent nutrients that deliver anti-aging effects for skin. It is one of the most effective moisturising ingredients in skin care and it is essential for skin health. Vitamin E provides numerous benefits for skin cells due to its antioxidant properties which protect the body from cellular-level damage; caused by free radicals. Vitamin E can also help fight the signs of aging, protect from sun damage, and lower risks of skin cancer. ZizyphusJujuba Extract is anti-inflammatory and contains antioxidants, rejuvenating properties, calcium, vitamins A, B and C and enables the skin to absorb moisture quickly, while protecting the structure of skin and keeping skin supple. How to Use: Apply while gently massaging to clean skin 2 times a day in the morning and evening. It is suitable for daily and nightly use. 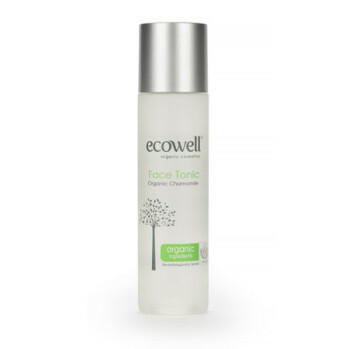 To obtain more effective results, use after cleansing skin with ECOWELL cleansers. Ingredients: Aqua, Dicaprylyl Carbonate, GinkgoBiloba Leaf Extract, Coco Caprylate-Caprate, Sucrose Polystearate, Hydrogenated Polyisobutene, Pentaerythrityl Distearate, Sodium Polyacrylate, Glycerin, Aqua, Levan, Decyl Glucoside, Olea Europaea Leaf Extract, Phenethyl Alcohol, Zizyphus Jujuba Seed Extract, Tocopherol, Sodium Stearoyl Glutamate, Sorbitan Caprylate, Propanediol, Benzoic Acid, ** Prunus Armeniaca Kernel Oil, Perfume.